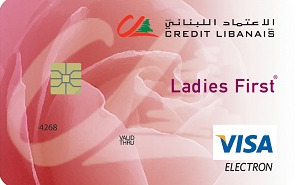 Ladies come first at Credit Libanais with Ladies First, a BankerNet card especially for women. This electronic debit card gives you access to your accounts and is embedded with a chip for better protection against unauthorized use. It is safer than carrying cash, easier than writing a check, and lets you make purchases at Point of Sale (POS) or withdraw cash from ATMs in Lebanon and worldwide. For today’s women, who are seeking further on the professional and personal levels, the Ladies First card provides all the benefits of a debit card. Ladies First card is offered free of charge. No minimum amount is required to open the account linked to the Ladies First card. - Make purchases at the point of sale terminals in Lebanon and worldwide. - Withdraw cash from ATMs in Lebanon and abroad, 24/7. - Deposit cash or checks at some of Credit Libanais ATMs. - Recharge your prepaid mobile line by using Credit Libanais’ ATM network. - Check the balance of the account linked to the Ladies first card, anytime, through the Online and Phone Banking services, without any additional charges for the first 3 months, after which a monthly fee of USD 1 is charged. You can also check your account balance on Credit Libanais ATMs free of charge and on other ATMs for $0.5 per inquiry. The Ladies First Card is safer than carrying cash; in case of theft or loss, the card is easily canceled and replaced for free. With the SMS alert service, you can track your Ladies First card movement via an SMS sent to your mobile phone. This service is free of charge for the first 3 months, following which a monthly fee of USD 1 is charged. You can create your own card password at any Credit Libanais branch or change it anytime at any Credit Libanais ATM. Collect loyalty points and redeem them for valuable gifts, airline tickets, travel packages and way more. 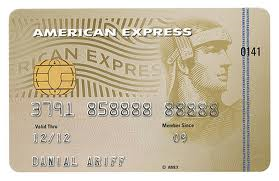 A monthly management fee of $1.5 or LBP 2,500 is charged on the account linked to the Ladies first card. Foreign Exchange Transaction Fees for outside Lebanon: 3%. Locally: A wholesale market rate is used to convert the transaction currency into the billing currency. Where applied, the conversion rate is slightly different from the daily market rate.